In 2012, Britain held the hugely successful Paralympics Games. It was hailed as a new dawn for the disabled, teaching the world to be more respectful of those with serious illnesses and disabilities. Has it worked? Has it heck! Instead, the disabled are the subject of a media rampage where anyone who walks with a stick must be a ‘scrounger’ or ‘lazy’. This attitude has led to a big increase in disability hate crime. 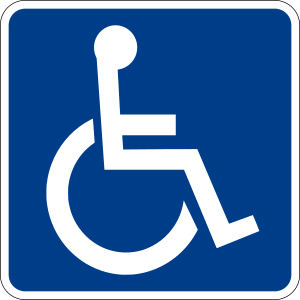 Several newspaper reports in the last week have shown just how much respect the disabled get these days. Two sufferers of Parkinson’s disease have been quite literally harrassed by the police. One was arrested because he didn’t look happy at a sporting event- he is unable to move the muscles in his face due to the disease! This week its Parkinson’s Awareness Week. Figures released show that 1 in 5 sufferers have been accused of being drunk because the effects of the condition make the sufferer have trouble with movement and speech. Mencap says that nine out of ten people with a learning disability have suffered abuse. There have been tragic stories such as that of Fiona Pilkington who killed herself and her disabled daughter after suffering years of torment by youths. Repeated complaints to the police were ignored. If someone finds they have to use a wheelchair for whatever reason, they will discover they instantly become invisible. Baroness Tani Grey-Thompson, one of Britain’s best known Paralympians, suffered the indignity of having to throw her wheelchair off a train and then crawl off herself as there was no one to help her. Recently, she was forced to crawl up several flights of stairs in the block of flats where she lives because the lift was broken. The next time you go out and about, think about how difficult your journey would be if you had difficulties walking, climbing stairs or negotiating traffic. Imagine if tomorrow, you were struck down with a painful and disabling illness. How would you feel? How would you cope? There are thousands of disabled people in Britain, many of whom aren’t in a wheelchair and whose illness may not be obvious at first glance. As a society, we seem to have lost the art of compassion. If someone walking with a stick in front of us is too slow, we barge past. If someone has a learning difficulty or a disabling illness, we ignore them, pretend they don’t exist or even worse secretly think that actually they shouldn’t exist. Society these days is all about youth and beauty but disability could strike anyone, at any time and at any age. Think about it…next time it could be you. This entry was posted in Uncategorized and tagged Disability, Disability hate crime, discrimination, Learning disability, Mencap, Parkinson's disease. Bookmark the permalink. Reblogged this on Rheumatoid Arthritis: Patient's View. Excellent post about a widespread–even worldwide–problem. I have rheumatoid arthritis, a disease that can be severely disabling. I’ve been very fortunate so far that I am still able to function well, most of the time, and don’t have any serious joint damage, but the pain the disease causes can also be disabling and of course, is invisible. I’m particularly saddened by the situation disabled persons in GB are experiencing (because of the austerity program in place because of the recession?). It seems that more and better public education about disability is key. Perhaps this post would work as an informative letter to the editor in your local paper? Thanks for writing about this issue. Hi, thank you for your comment. I have Rheumatoid Arthritis too, unfortunately not so well controlled. The situation here in Britain for people with chronic conditions such as RA is a nightmare. I have an RA blog but its not as successful as this one yet. I am also active for Arthritis Care and NRAS, both charities here in Britain.